by a Japanese bag maker with 50 years of experience. 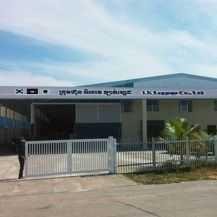 LK LUGGAGE is the Cambodian factory for famous Japanese bag manufacturer Kiwada Masaaki Shouten. Under the management of the Kiwada Masaaki Shouten, we manufacture high-quality products, such as business bags and other leather luggage. 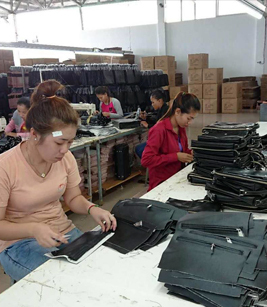 The quality control is overseen by a control officer from the Japanese head office, to ensure the best quality of production and after-sale service that we are proud of to our customers. Other than Japanese apparel brands, we receive orders from a wide array of customers. in order to comply with expectations of quality, delivery times, and an astoundigly low failure rate. 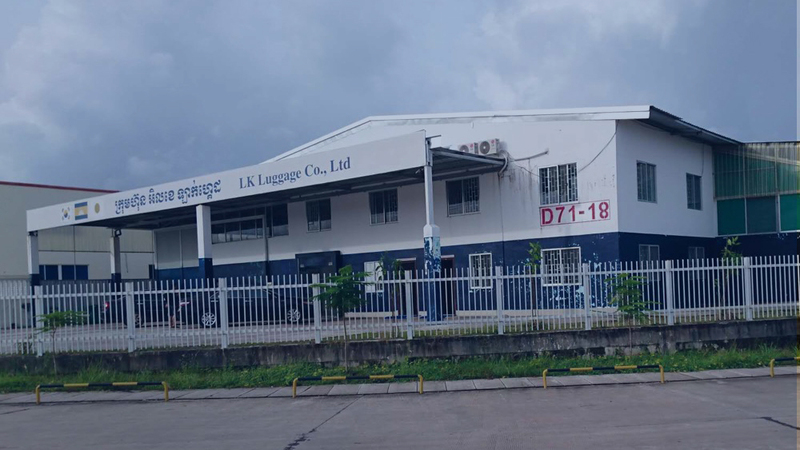 technology, and quality of LK LUGGAGE's manufacturing. 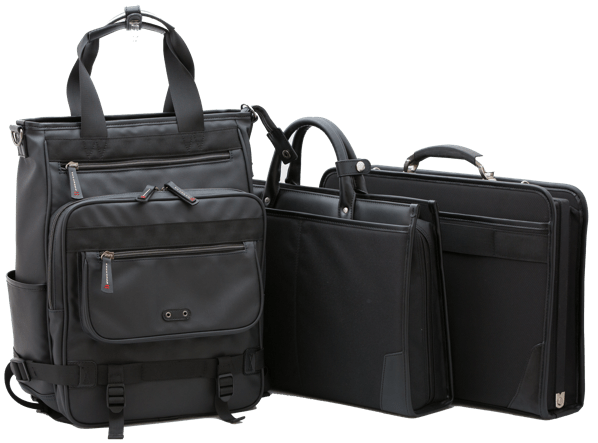 including free-standing business bags, Dulles bags and casual bags. 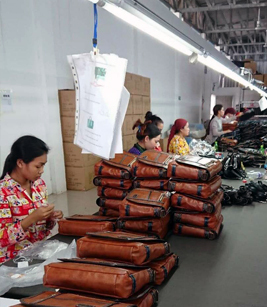 Partial manufacture of products with a high added value, such as leather bags, can also be performed. 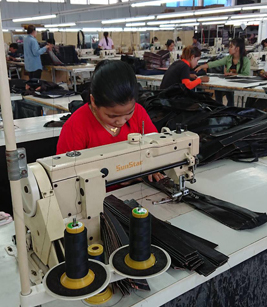 Even I, with 30 years of experience in the bag making industry, looking at the bags made in the Cambodian factory, can be proud of them. 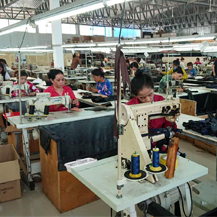 For example we checked the aestethics of the shape, the symmetry, the machine stitching and so forth, according to the same standards we use for domestic production, and have found no problem whatsoever. The failure rate for finished products, at 0.2%, is very low even compared to production in Japan, but we want to achieve even higher standards. 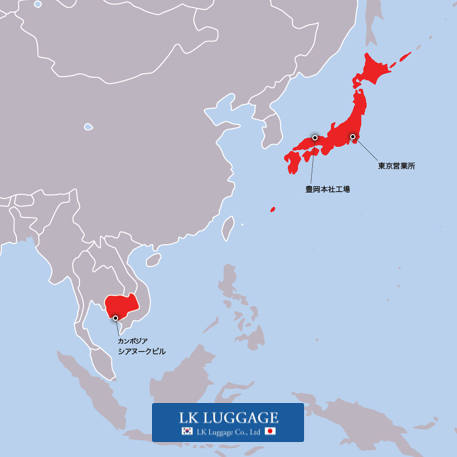 © 2019 LK LUGGAGE CO., LTD All rights reserved.